Back up? Who does that? We all know we should back up our data, but how many of us do? So when your laptop loaded with photos, saved emails and important documents has a hissy fit, the recovery of the last five years is in the hands of self-proclaimed high street repair Geniuses, Geeks and those with the Knowhow. But are they hands you can trust? Many of us rely on our devices – I know I do – so when they stop working without warning it can be more than a mere inconvenience. Sometimes switching it off and on again just won’t solve the problem. What you need is a professional repairer. 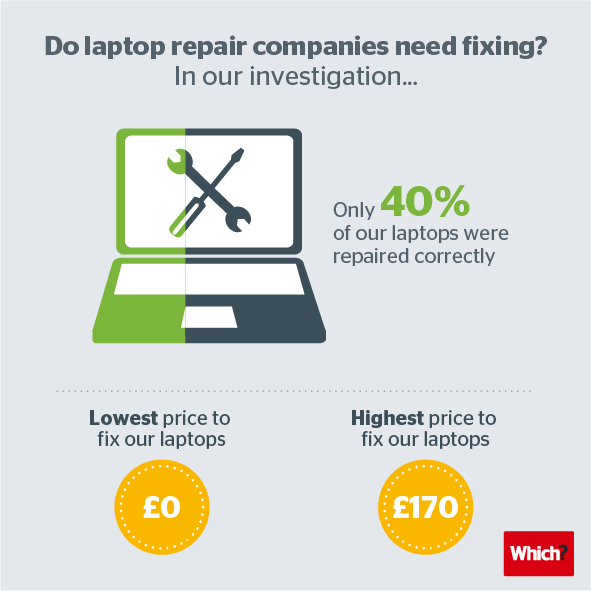 To investigate the quality of high street laptop repair services we introduced a simple fault onto 24 laptops – including Windows laptops and Macbooks – that meant they wouldn’t start up. We then took six each to Apple’s Genius Bars, Geek squads at The Carphone Warehouse, PC World’s Knowhow service and to independent PC repairers from the Brigantia network. We last conducted this investigation in 2012 and only around half of our laptops were successfully repaired. We contacted the companies concerned at the time and a year and a half later it appears little has changed. Only around 40% of our laptops were successfully fixed this time; at costs ranging from free to £170. There were also inconsistencies in how branches of the same chain approached fixes, highlighting just what a lottery you’re entering into when you take your laptop to be repaired. Good fixes were possible – Apple got four of the six Macbooks working again for free, but the last two remained unfixed because they were deemed ‘vintage’ and Apple doesn’t stock parts for them, even though our repair didn’t require any new parts. The Carphone Warehouse also clocked up two very good repairs, each costing less than £50. However, another repair came at the expense of our data. PC World and the Independents achieved lower success rates overall in our snapshot test of repair services. The fact of the matter is, when it comes to laptop repair services, a consistent approach is lacking and it seems that you’re reliant on the expertise of the individual behind the counter, or behind the scenes, when you hand over your laptop. We approached each of the retailers as a result of our investigation. Apple failed to respond to our repeated attempts to contact the company, but the others each expressed a willingness to improve their services. We want to see improved staff training and repair procedures, as well as fair and consistent pricing so you can be confident in the services you get. Our investigation only touched upon a small number of stores. If you’ve had a poor experience with repairers, or think you’ve paid over the odds when putting your PC in the hands of the experts, we’re keen to hear your comments. It would be interesting to know what legal rights we have to challenge a company for making unreasonable charges or replacing parts that are not faulty. 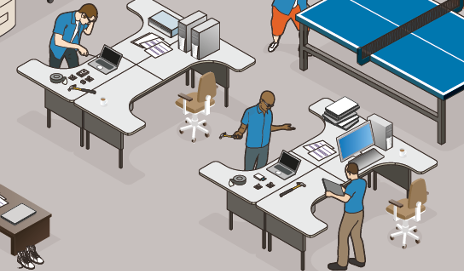 Unfortunately, anyone taking a computer to be repaired is unlikely to know how much work is involved and if new parts are needed, otherwise they would have probably tackled the job themselves. My recommendation is to try to fix problems yourself, making use of information available online. I accessed Which today specifically to find a recommended laptop repair person locally so I am very disappointed that Which local does not have this category. Does anyone know a reliable person near Fleet in Hampshire? Hi redline. Apologies for any inconvenience caused. I assume that you are referring to the Which? Trusted Traders referral incentive, in which case, you are correct that we are not currently endorsing business in this particular sector. As the service grows, we will be diversifying to cover categories such as computer repairs. I hope that helps, and be sure to share your comments with the Which? Local community if you decide to use any of the businesses. This is a very short article – where’s the full report? I found your laptop repair write up interesting. I took my Sony Vaio to a local repair shop because I had purchased a external hard drive and attempted to upload/back up all my pictures and videos (about 90GB total) to it and then they all disappeared (the files where all empty). When I took it to the shop they could not understand what had happened or why. All they said was the external hard drive was not faulty but it could be my PC but could not tell me exactly what! They did manage to retrieve about 15,000 files and placed them on the external drive. Since I’ve bought my laptop back home I cannot bring myself to look at it or attempt to do anything with it in case it happens again and what makes it worse it all the baby photos of my kids over the course of 11 years. By the way I was charged £50. How can you possibly tell a repair shop or technician is competent enough to repair your computer? I’ll first admit to a vested interest in spades! Husband and I run a computer repair company near Northampton. Redline: search terms are a real pain in our business. Try searching for ‘computer’, ‘PC’ and/or ‘laptop’, with ‘repair’ and ‘service’. The permutations of business classifications used by traders’ sites that apply to our kind of business are a headache – including Which! Why did this whole report only look at laptop repairs? Repairing desktop computers or all-in-one systems isn’t significantly different. Darmzy: Sometimes it is very hard to tell what went wrong. That was a very odd problem you had! They did retrieve your files, which can be difficult and take a very long time. In your case we’d have spent hours testing and re-testing the laptop and the external drive, trying to find something to give us a clue. Don’t conclude that they are incompetent, that really isn’t fair. Just make sure that you take frequent backups. Maybe you should consider a cloud backup as well as the external hard drive – many experts will tell you that one backup is no backup at all. Technical competence, in the sense of being able to diagnose and fix a computer, is the easy bit. There are plenty of people who are capable of working out what’s wrong and putting it right. What’s missing from most of them are the ability, patience and willingness to communicate with ‘non-geek’ clients in plain English, and the acceptance that as experts being employed for their superior knowledge they have a duty of care – to use that superior knowledge to give your computer back to you in a fit state to be used. We wouldn’t think of doing anything much to a client’s computer without first securing their files by making an external backup of the entire hard drive, and we have a low opinion of the many computer repair companies who do not. It isn’t difficult, it isn’t a significant overhead, and it gives us ‘insurance’ too in being able to go back to the beginning and start again if necessary! We always diagnose free of charge and give a quote, we don’t charge if we fail. If we can do it, so can others. Demand the level of service, explanations, safeguards and consideration you need in order to feel comfortable handing over your computer – or go elsewhere. Many local authorities Trading Standards departments use the Buy with Confidence scheme, and there are lots of PC/computer/laptop repair/service (!) companies on them. 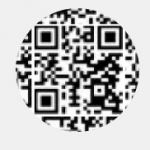 A good place to start looking for any sort of trader. And of course, as ever, personal recommendations are valuable. P.S. We are not on the Trusted Trader scheme because we are already members of the Buy with Confidence scheme, and cannot justify the additional expense. Joyce Beck – I hope that anyone accepting a computer for repair would make it clear that while care will be taken to avoid loss of files, the owner is responsibility for having backups. I very much agree about the importance of communicating in plain English. I’d put a lot more responsibility on the repair company than that. It is EASY to backup the client’s hard drive as the first step, and I can’t see any adequate excuse for not doing it. Of course, if the problem is that the hard drive has failed to the point of being unreadable, that’s a different problem! We beg our clients to let us set up backups for them at no extra fee when we service their computers (just the cost of an external hard drive), but it’s amazing how many of them decline. My Acer laptop kept cutting out. I took it to my local independent computer person. He said it should be sent away as he was unable to tell if it was the motherboard or another hardware problem. It was just out of warranty so I had to pay Acer £55 to have it sent to “their” centre in Telford to be assessed. Instead of contacting me with a diagnosis and quote, they returned the laptop with a report saying they had thoroughly tested it and there was no problem. Inevitably it cut out again. Acer wanted £55 to send it for assessment. I said I’d already paid £55 to not have it repaired, so they took it back. This became a very long story. Weeks later, after numerous calls, I got it back saying it was fine. It wasn’t. They had it back. Then it worked but painfully slowly. After the fourth visit to Telford, including inspection by “senior technicians”, I was no further forward (except by four months, two factory resets & £55 down). I took it back to my local man who quickly determined they’d left out 2/3 of the memory. They wouldn’t permit him to reinstall it so back it went to Telford. They put back the missing memory and changed the keyboard. Goodness knows why. The new one has some very reluctant keys. I’ve since found out that the centre at Telford is a general repair hub. I have no faith in their competence. I was very disappointed to see if your valuation of Independents. You went to one Independent computer repairer with multiple stores, you did not receive a good service and then attributed the results to all independents. You would have had a much fairer and clearer results if you had actually visited 3 totally independent stores and by that I mean 3 independent of each other. You cannot label all independents to be bad by one companies practices. I offer free diagnostics, no fix no fee. Any time I recommend a hard drive replacement is because I have performed hard drive diagnostic tests, and a printed version of these results is given to the customer to prove test failure. I also operate on a fixed price which is agreed before any work is actually carried out. You sound like you work like we do, and I believe there are a lot like us. Terrible generalisation, but it seems that as soon as an ‘independent’ grows to point of having multiple branches they lose their sense of ethics and good service! I’d be interested to know what fault you introduced to these laptops, and whether it really represented a typical scenario that laptop repair places would be expected to recognise and deal with. For example, if you switched a setting in the BIOS so that it wouldn’t boot from the hard disk – that is not a typical thing that would happen without the user knowing they had done something, but it should be easily diagnosable all the same. I can’t quite work out from your article (including the full article in the magazine) what the exact fault was, though. Hi Vicky, in the Windows computers we marked the partition as not being bootable and with Macs we deleted the partition so the machine would not boot. This is a plausible fault that a general consumer could encounter, we did not go into the BIOS. Around this time last year in an accident that I couldn’t replicate if I tried, I managed to toss half a cup of tea right across the room and onto my laptop keyboard. Naturally it stopped working. I took it in to a local repair firm who’d been pretty good in the past. They charge £30 just to assess the job but I figured it would be fair enough if I got my computer back and working. When I went in for their verdict they said I’d require a new keyboard then it would have to be drained and any non-working parts replaced. They couldn’t guarantee my data. I wasn’t so worried about the data because most of it was backed up, but my reason for buying the computer was the keyboard. I’m a touch typist and this one had just the right feel for my fingers. I asked if the keyboard would be identical several times and got a fluffed answer each time. I said I’d think about it over Christmas and they told me I should remember that the longer it went undried the more damage the tea would do. It was at this point that the significance of the machine needing to be drained struck me. I asked if they meant that they had taken it apart but hadn’t drained it. They seemed to be surprised, of course they hadn’t drained it, that would be a repair. They may be good but I don’t think I shall be using them again. A company that charges you 30 quid just to look at the problem and can’t even be bothered to perform the simple act of turning something upside down over the sink then standing it somewhere to dry out a bit isn’t a company that I want to share my money with. In December 2014 I took two laptops with problems to PC World’s KnowHow Team at the Castle Marina Retail Park in Nottingham. With one machine I told them I was happy to have it reset without preserving any data. With the other, my express and repeated instructions were to preserve at all costs the data and software applications on there. They had not done the agreed work 3-4 working days after the agreed date for completion and on eventual collection, it transpired that PC World’s KnowHow Team had wiped all data and applications from both machines, reset the password on one, failed to record or communicate what the new password was and initially denied they had done this. The telephone “help” service was labyrinthine and obstructive; the manager’s response was that the laptop needed to be reset, and the loss of data and software was therefore inevitable and I should have read the small print – and the promised phone call from the “Save Our Customer Team” has never materialised. I paid £130 for this “service”, which has cost me considerably more than this in the time and effort and potentially money needed to restore the lost applications. Am I to believe that the KnowHow team have neither the technical expertise nor the equipment to copy and re-install software and data? Sorry taking so long to reply Mary , I don’t know how I missed your post .You are absolutely right this “we don’t really know but if we make up a technical; sounding name people will pay us money the– NOT Know How Team ” are technically incompetent and their administration devious. Lets get this straight , ANYBODY can wipe a HDD/SSD , easy peasy , it takes only the minimum of computer technical ability to remove viruses/ customer wrong data input /etc . Unless both your Windows programmes were HIGHLY corrupted then the laptops data could be saved , it isn’t wizardry its just down to technical ability . The only times I needed a full re-installation was when I was attacked several times by “certain parties ” who used Windows basic program to cause deliberate corruption of the registry and having re-installed many times I know explicitly what was done , other than your drive being faulty I have repaired just about every fault you can think of. I no longer use Windows its too easily “got at ” even with the best anti-virus . This could be a case under the Trade Description Act if a small shop in the high street acted like that they would be out of business in a short time PC World -to big to fail. ​I claimed from a policy which I had held for 3 years. When I took the device in to the store the assistant told me that I would get a letter telling me that the device was not covered, but I needed to write and challenge it. The letter I received said I had been neglectful and misused the machine. I wrote pointing out that three years of paying a policy shows I was not neglecting it and that I had dropped a portable device which was not misuse. They paid out. When I went into the store to get my replacement the staff said that ‘know how’ hope that most people won’t bother writing. What a rip off.